Whether you’re looking for adventure on the high seas or chllin’ on the beach and doing nada, a visit to Loreto Islands provides a secluded getaway and a taste of authentic Mexico. 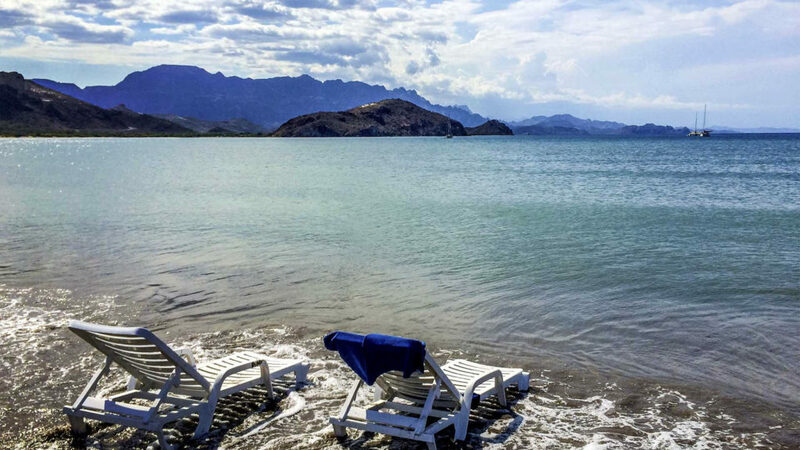 Located about half-way down the eastern side of the Baja peninsula, Loreto is one of the last unspoiled destinations in Mexico and one of its’ oldest settlements. The natural beauty of the area is largely untouched by tourism and provides stunning views in any direction. Nothing is around for miles, except the calm blue waters, rugged mountains, and desert brush. It’s surprising that this coastal gem is only a two-hour (non-stop) flight from LAX on Alaska Airlines. The luxurious Villa del Palmar at the Islands of Loreto sits between the Sierra de La Giganta Mountains and the Sea of Cortez, which Jacques Cousteau fondly referred to as “The Aquarium of the World,” due to its’ diverse marine life with over 800 species. Exploring the undersea world around the islands is a must, as the area is known for its’ year-round sport fishing, snorkeling and scuba diving. 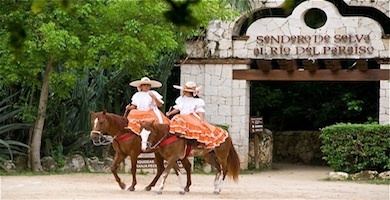 The resort encompasses over 4,000 acres of paradise, with quiet beaches, scenic vistas, and exceptional food and service. Guests will find plenty of outdoor activities to stay busy; such as hiking, glass-bottomed kayaks, and a soon-to-open Rees Jones-designed golf course. Then again, these chairs are beckoning for someone to simply sit down, relax and enjoy the view. When not swimming in the ocean, cool off in one of the resort’s five swimming pools, nestled together in the shape of a sea turtle. It’s easy to grab some tacos or a brick oven pizza poolside at Casa Mia and continue the fun in the sun. Or, take a break from the heat and enjoy the cool A/C at The Market (breakfast buffet is the bomb!). For a fine dining steak and seafood experience, try Danzante, which will even prepare your “catch of the day” (from your deep-sea fishing expedition). We’ve been told that the waters have an abundance of marlin, dorado, tuna, and mackerel, just to name a few. Too lazy to get dressed for dinner? Enjoy the 24-hr. in-room dining service from the comfort of your room, which happens to be very spacious and comes with a full kitchen and large balcony. Water activities abound at Villa del Palmar, where guests can swim, kayak and SUP in the calm waters of the bay. But for further exploration of the Sea of Cortez and surrounding islands, have the resort arrange a snorkeling, scuba diving or deep-sea fishing trip. 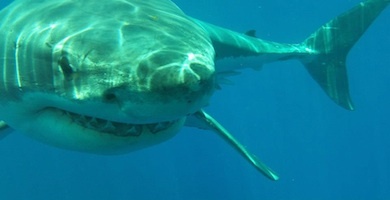 Close encounters with bottle-nosed dolphins, manta rays and green sea turtles are commonplace. 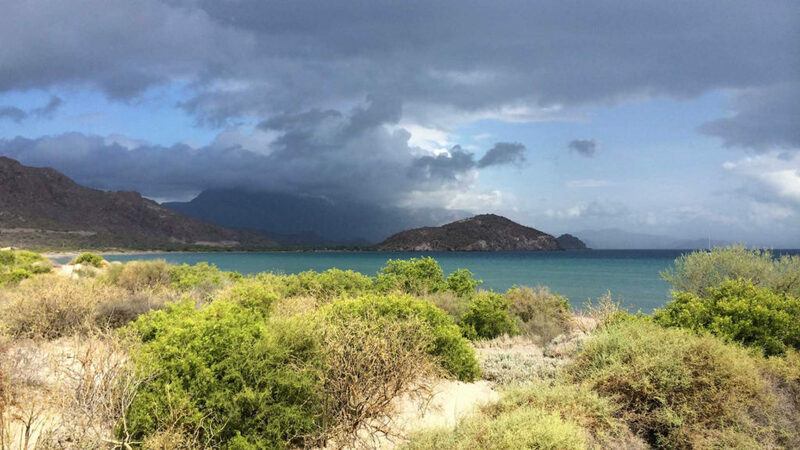 Tour boats will take you through the Loreto Bay National Park (Parque Maritimo Nacional Bahia de Loreto), that consists of five islands: Carmen, Catalina, Coronado, Danzante and Montserrat. At 2,065 square kilometers, the area qualifies as Mexico’s largest marine preserve. Tour guides will provide you with historic facts about each island, pointing out indigenous plants, rock formations and bird life. We recommend the Coronado Island Tour – the combination of turquoise waters, white sands and dolphin sightings can’t be beat. After an adventurous day on the sea, take some time for pure relaxation and pampering at the resort’s 39,000-square foot Sabila Spa, named as on of the best spas in Mexico by SpaFinder. As an added bonus, spa guests are encouraged to follow the hydrotherapy circuit afterwards to help further ease them into a blissful state. Spa treatments take their inspiration from native plants and herbs in the area. More than 300 years of history make the town of Loreto the oldest settlement in Baja California. This small and charming town is about a 40-minute drive from the hotel, which provides complimentary shuttle service. Highlights include a visit to the Misión Nuestra Señora de Loreto, one of the oldest “California” missions (founded in 1697). Next door to the mission is a museum that documents the accounts of European conquests of Baja California. The town’s official slogan is “300 Years Old and Still Undiscovered,” which gives it an authenticity that’s not always easy to find in these modern times. On a hot day, stop off at the local tienda and grab a frozen treat made with fresh strawberries, dipped in chocolate. Stroll along the waterfront or the shaded plaza and shop for souvenirs. Our favorite shop is directly across from the mission. Before you leave this peaceful paradise, walk down to the beach at Villa del Palmar and enjoy one last sunset. The vibrant colors suddenly seem to appear in the sky, each scene more beautiful than the last. Everything else can wait – this is the land of mañana. 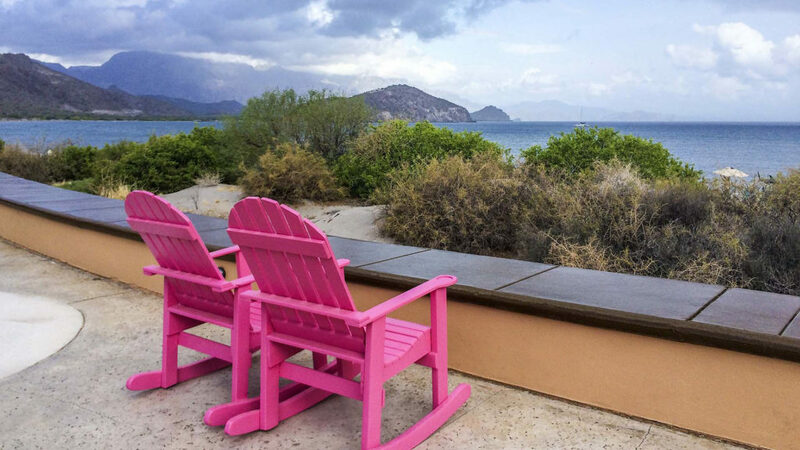 Villa del Palmar at the Islands of Loreto is offering special rates for Wandermelon readers, starting at $119 USD per night for a deluxe studio suite (normal rates are $184 USD per night). Guests can book now until December 11, 2015, for travel until December 17, 2015, and should use the code FAMJUL15 when they book a reservation through reservaciones.vdpl@vgloreto.com. Click here for more specials and packages, including free R/T air. Photography by Liz Laing. All images copyrighted.